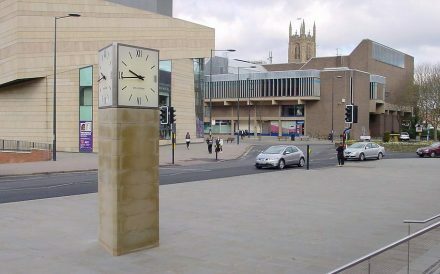 As part of the major refurbishment in 2012, theDerby City Council Building was reconfigured toinclude the open quadrangle up as an internal atrium. Two clocks were proposed for the re- development, one interior and one exterior – companions in style and intended as a visual link between the street and the newly opened interior space. Each clock shares the same dial and hands design and each is backlit with low energy LEDs. 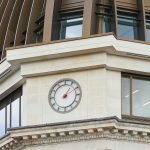 Here their similarity ends – the interior clock has two back-to back circular dials and is suspended from the roof structure, whilst the exterior clock has three dials on a triangular plan and is mounted on a stone pedestal. 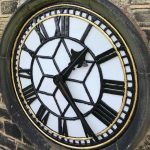 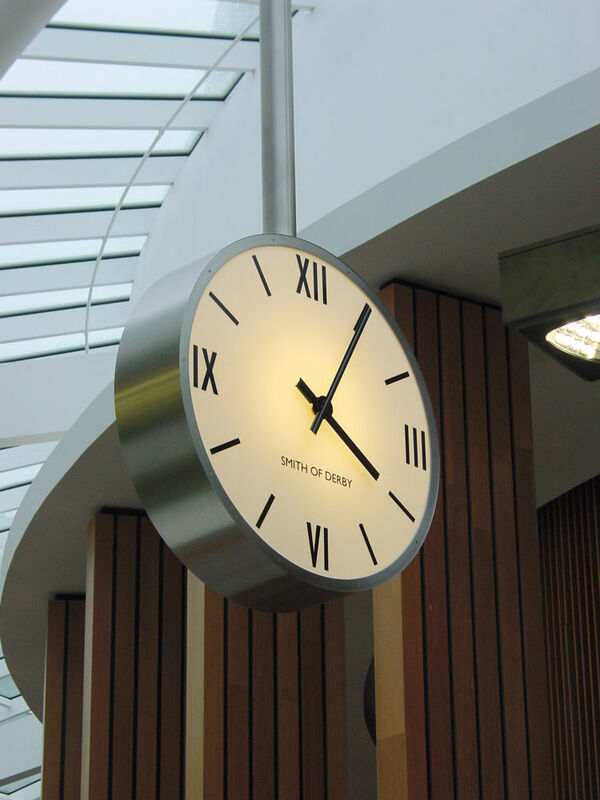 The clocks reflect the style of the original 1930’sbuilding in an elegant and understated form, and proudly displays our company name as part of the ongoing heritage of the City of Derby.